Come and enjoy meaningful worship, relevant messages and great fellowship at our Cornerstone Young Adultss service. It’s a great opportunity to meet new friends and experience a different kind of church service for those ages 16-late 20’s. This service gives young people a positive environment to grow in their relationship with Christ, and transitions them into active membership in church. It also provides a conversational setting that helps believers benefit from each other’s testimonies. 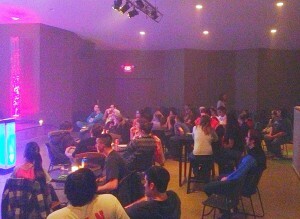 Cornerstone Young Adults happens every Wednesday night at 8:15 PM in the youth sanctuary.